I just love finding great kitchen gadgets that make life a bit more easy and fun in the kitchen. Finding a new kitchen gadget innovation is not always an easy task, since you have so much to choose from and sometimes you can totally buy a lemon. When buying a new gadgets you should check carefully and perhaps read some feedback before buying your next little gadget help in the kitchen. 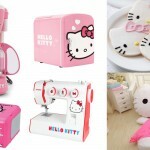 Here we gathered 4 awesome and beautiful kitchen gadgets that I believe can do a great job while looking sharp in your kitchen, they are all from Prepara.com which is a known brand once it comes to creative and amazing kitchen tools products. 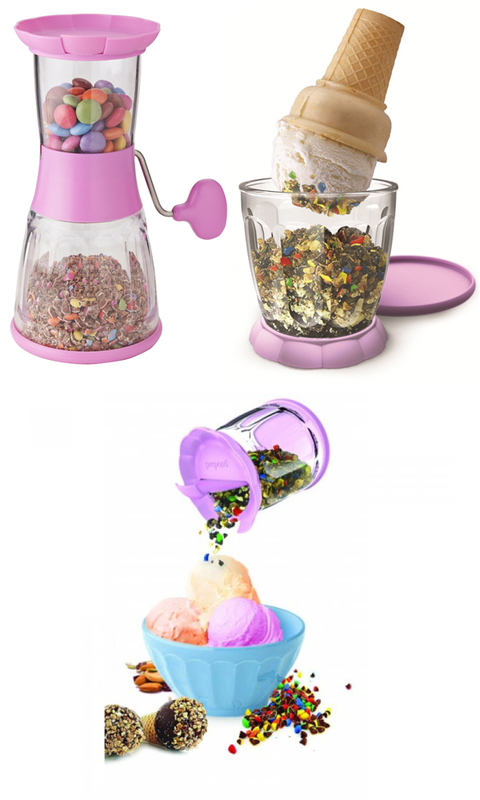 This fun chopper will chop quickly and easily any hard candy and nuts. Just load the chopper with your favorite candies, and crank it away to get perfectly chopped toppings. After you finish chopping you can use the base as a jar with shaker lid to conveniently dispense and store deliciousness. This magic chopper retails for $24.99 . 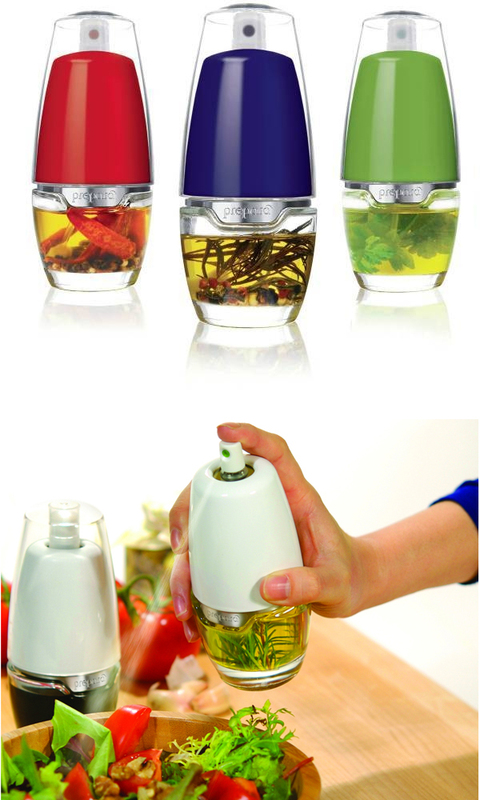 This gadget will not just store your oil in a beautiful bottle it will actually help you to eat more healthy. Using this spray bottle to flavor your foods rather then a regular bottle will allow you to add less fat to your food or even just to greasing pans and preventing food from sticking. Also, with this smart sprayer you can create your own flavored oils by infusing dried herbs, dried spices or even ingredients like dried chili peppers without clogging the sprayer. 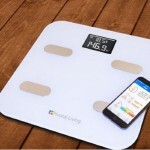 This healthy gadget retails for $19.99. Herbs are a great ingredient that can set a part a meal from a medium dish to a spectacular one. 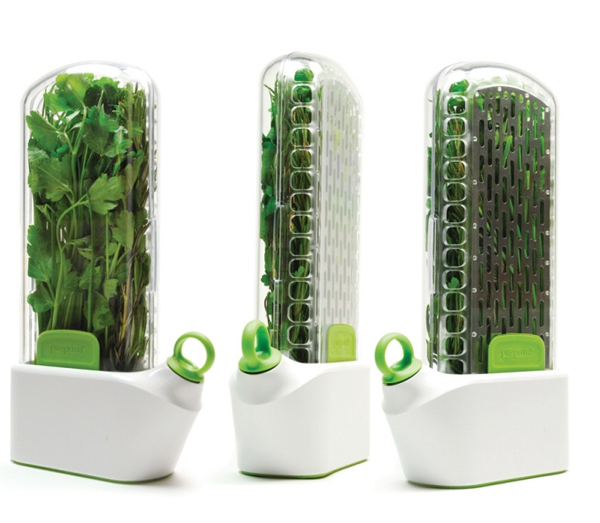 I love adding herbs to my cooking but the biggest problem is that herb tend to not stay fresh in the fridge and most of the time I just throw them away.This Prepara herb-savor will prolong the life of your fresh herbs for up to 3 weeks so you can enjoy fresh, flavorful meals every time you cook. This amazing product retails for $29.99 . No kitchen is complete unless you have amazing knifes and of course a great peeler. This 3 different blades peeler will cut the clutter of your gadget drawer while giving you exactly what you need with one tool. 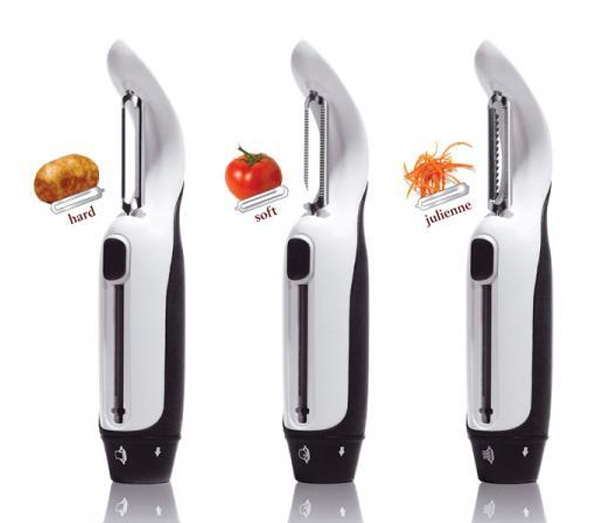 With the Julienne blade you can create the perfect julienne strips of carrots or cucumbers for colorful salads or shoestring potatoes or zucchini, if you use the soft blade you can easily soft-skinned produce like peaches and tomatoes and the hard blade will perfectly grab and peel the skin of hard produce like potatoes, carrots and cucumbers. This 3-in-1 peeler retails for $14.99 For more amazing kitchen gadgets check out 17 Bizarre and Wacky Kitchen Gadgets To Spice Up Your Kitchen and 21 Kitchen Gadgets and Concepts.